This article is part of a series highlighting the Dalhousie Class of 2018 — the graduates of Dal's 200th year. Read more of our Spring Convocation grad profiles. When she applied to Dal, the surprises continued. 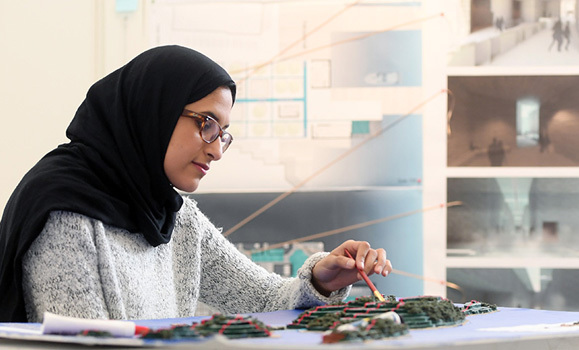 Lina was planning to complete the degree in Civil Engineering she’d started back home, but learned the credits she’d earned were not transferrable. “I realized I was going to have to start all over,” she remembers. Lina is graduating with a Bachelor of Community Design, honours in Environmental Planning and a minor in Environmental Studies. Deciding to focus on environmentalism was an exciting new idea for Lina. She says that, for her, considering impact on the environment is a whole new way of looking at the built space. When she recognized that the interaction between human and natural communities goes both ways, Lina became interested in how we can plan for healthy communities in the face of climate change. 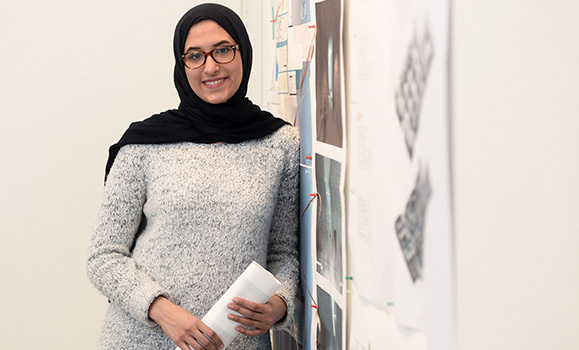 Lina was also able to apply the principles of interaction and integration to her work with the Dalhousie International Student Association (DISA). While she was VP of Events, she realized DISA could bring together all the cultural societies to build a richer experience for international students. So, that’s exactly what she did. Friday nights at the International Centre became known as cultural nights, themed events based on a different culture or country. Lina partnered with the relevant societies to bring the night together. “That turned out to be quite a success. I think we've had over 1,000 students show up, collectively, to cultural nights.” Her efforts earned her an Impact Award in 2016 for International Student of the Year. During her internship, Lina worked with the Halifax Regional Municipality under the manager of economic and social research, which gave her a glimpse into the Planning and Development department. “It was interesting to learn what each division does on its own and how they interact,” she recalls. Lina hopes to stay in Halifax after graduation and is exploring her options in either environmental planning or transportation planning.